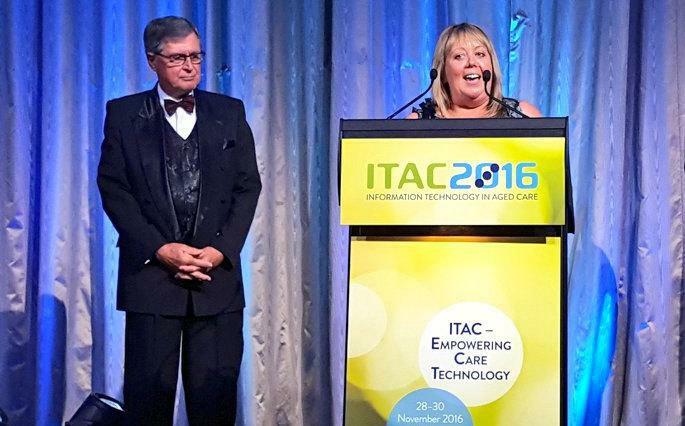 A medication management app and an online platform where consumers can find and hire local care and support workers are among the winners of the recent Information Technology in Aged Care (ITAC) 2016 awards. As well as receiving the best consumer friendly product or system deployment award, Baptist Care’s YouChoose.org.au website achieved the accolade of overall winner. Its pioneering website enables customers to customise their home care package online, choosing from services that are divided into four areas: Your Health, Your Home, Your Community, Your Independence. BaptistCare's Chief Information Officer, Daniel Pettman, says he was thrilled with the accolade. "These awards acknowledge that not only are we passionate about providing life-transforming care, but we are committed to developing innovative solutions that empower and support our customers," he says. Winner of the best solution providing ongoing consumer independence went to Better Caring. Its simple web platform connects those who need community care directly with a community of care workers. This provides those who are able to manage their own level of care genuine choice and control around who comes into their home, and what services they provide. The best workforce efficiency or quality improvement solution was awarded to co-winners IT Integrity Pty Ltd for its IT strategy to enable a Serviced Integrated Housing and Ageing in Place business model. and Telstra Health – Aged, Disability & Community Care (ADCC). ADCC’s MedMobile app captures medication administration information at the point of care, operates both online and offline. It helps ensure medication rounds are efficient and supports resident care and medication safety through intuitive technology and user experience design. Global Community Resourcing received the best initiative as voted for by consumers award while the best aged care software development and/or deployment was awarded to Care Connect Limited. Recognised for her significant contribution to implementing and advocating for the use of technology in aged care, Jennene Buckley Feros Care Chief Executive Officer received the Hall of Fame Award. Some of the technology solutions Feros is recognised for include telehealth services, smart home and enabling technologies, state-of-the art contact centre, mobile technology and a range of virtual environments to keep its remote workforce and clients connected and engaged. Ms Buckley says she is grateful to her board and staff for their willingness to dream big, take risks and create an environment of innovation and creativity.